What is a Tantalum Capacitor? 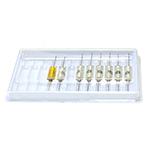 A tantalum capacitor is a type of electrolytic capacitor and usually consists of a pellet of tantalum metal that acts as an anode, is covered by an insulating oxide layer which forms the dielectric and is surrounded by conductive material that acts as a cathode. Tantalum capacitors are different from other capacitors by having high capacitance per weight and volume. Tantalum capacitors have lower ESR (equivalent series resistance), higher operating temperature and lower leakage than other types of electrolytic capacitors. Green Tech has a full tantalum capacitor selection of different types tantalum capacitors, Include SMD type, dipped type, axial leads type, Solid and wet type, industrial and military standard,High temperature type, high energy hybrid type etc. When you are looking for the right tantalum capacitors, with the Green Tech parametric search, you can filter the results by various attributes: by type( solid tantanlum capacitor, wet tantalum capacitor, high temperature capacitor) , application and standard(military standard, industry standard). 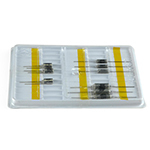 You will be able to get right tantalum capacitors. 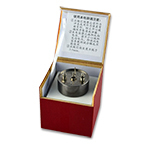 Different tantalum capacitors are packed in different way as belowing table show. 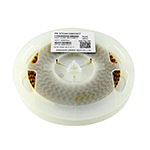 Previous：GTCAP Mica Capacitor Overview Next：Super Capacitor Module Support Car Cold starting at -40℃.